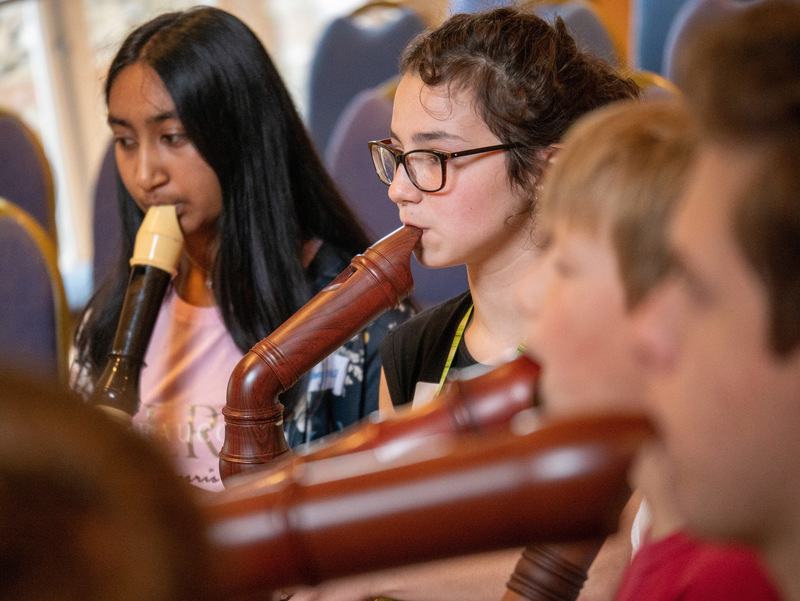 Our popular and fun Junior Days are designed for young recorder players up to the age of 18 to enjoy a day of workshops and playing opportunities, meeting other children at a similar age and level, with a shared enthusiasm for playing the recorder. Participants often travel from far and wide and enjoy making new friends, learning new skills, and hearing and experiencing all kinds of interesting or unfamiliar music and instruments! The Mollenhauer Junior Scholarship is available for a student in financial need to attend Level 2 or 3 of the Junior Day.